Kanban Training - Kanban Applied Training is practical, not theoretical, allowing your team to immediately apply what they learn. Kanban Applied Training is practical, not theoretical, allowing your team to immediately apply what they learn. Our interactive classes provide the knowledge required to commence product development applying the processes that make most sense for your particular team. Kanban Mentor’s Training is geared towards product development teams. All members of a team should attend – product owners, project managers, Scrum Masters, software developers, QA/testers, U/X, database engineers, and so on. All Kanban Mentor’s training classes are client-dedicated classes typically held at the client’s facilities. Alternatively, arrangements may be made to hold the class at a nearby hotel conference room. 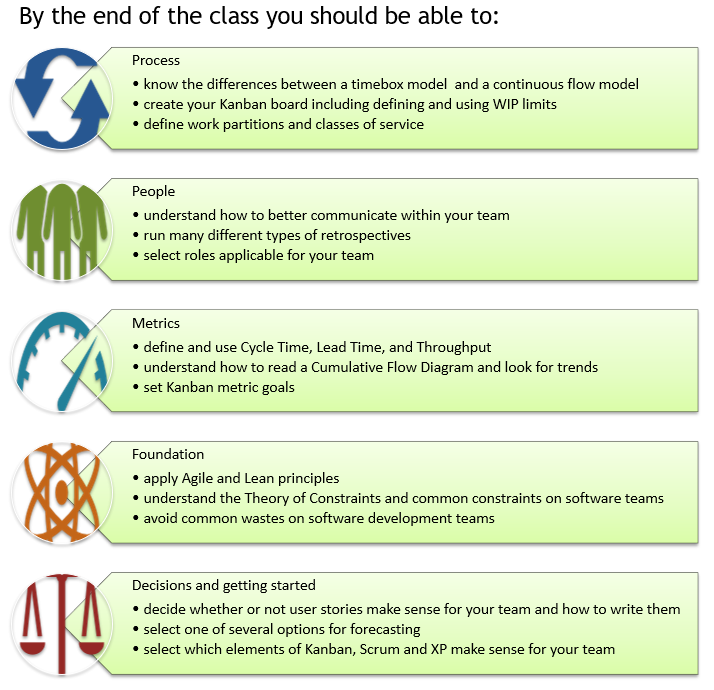 Kanban Mentor offers multiple classes that can be tailored to your particular needs. Some teams desire a 1 day class to help them decide which method or combination of practices work best for their particular team (this will include Scrum, Kanban and XP). 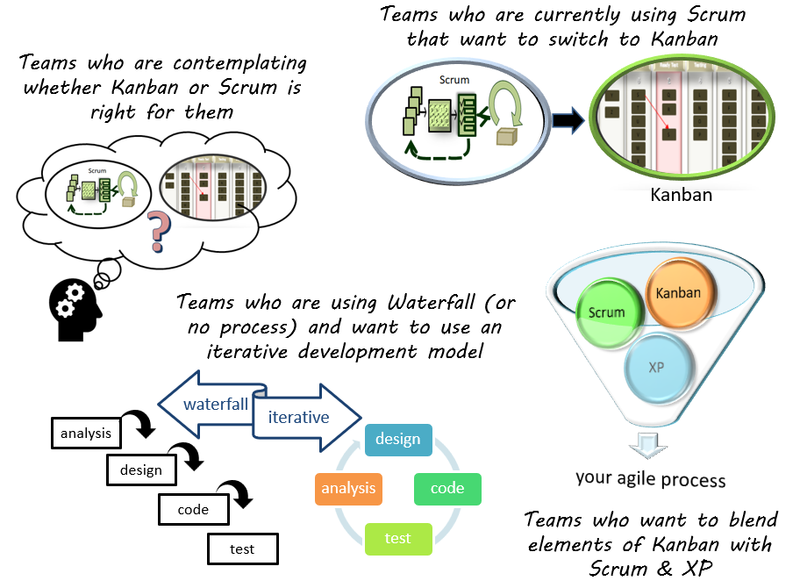 Others want a 1 day Kanban or a Scrum overview. 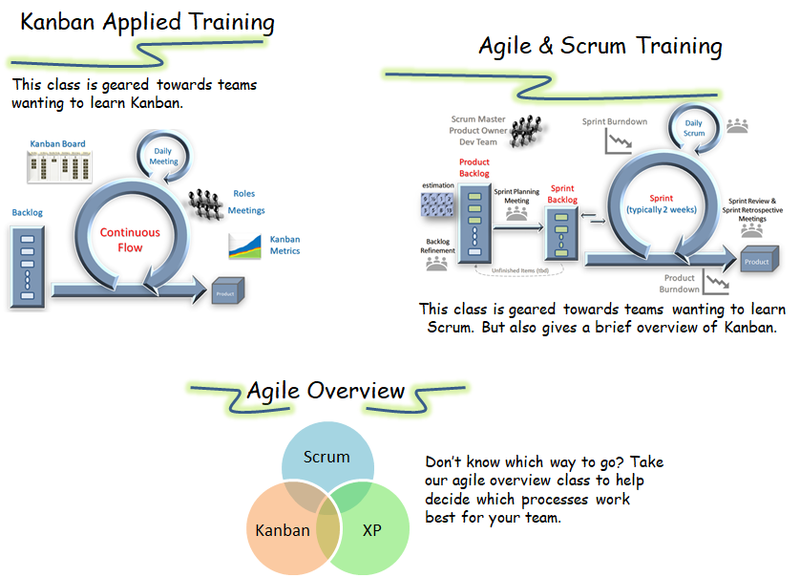 And others, want a more in depth 2 day Kanban or Scrum training class. Each class can hold up to 30 students. Please contact us for pricing and to schedule a class. Agile and Lean Overview A discussion of Agile and Lean principles. Agile Processes Overview An overview of Kanban, Scrum and eXtreme Programming. Kanban Exercise Hands on exercise to understand and experience concepts of Kanban such as continuous flow. Work in Progress Hands on exercise to understand why we set WIP limits. Partitioning Work Understand how and why teams partition work, common Classes of Service and examples of different Kanban boards. Kanban Metrics Understand terminology such as cycle time, lead time, and throughput. Understand how the Cumulative Flow Diagram works and its value. Learn the applicability of Little’s Law and discuss common metrics goals. Theory of Constraints Understand the Theory of Constraints and its affect on throughput. Discussion of what causes constraints on software projects. Agile requirements Understand user stories as an option for requirements. Also understand options for defining experiments instead of requirements. Forecasting Options A discussion of multiple options teams have when estimating & forecasting. Including options to not estimate and not forecast. 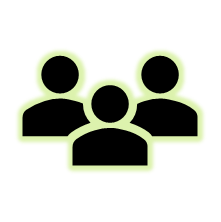 Kanban Events Understand what meetings Kanban teams hold. An in-depth discussion of team interactions and associated events that enable teamwork. Getting Started/Misc How to get started as well as other miscellaneous topics not previously covered in the class including a brief discussion regarding roles and scaling. Applying all this to your team There should be about 1 hour remaining at the end of the class to be used as consulting to help your team get started. This time can be used to discuss/create the team’s Kanban board, create user stories or discuss any other details the team needs. 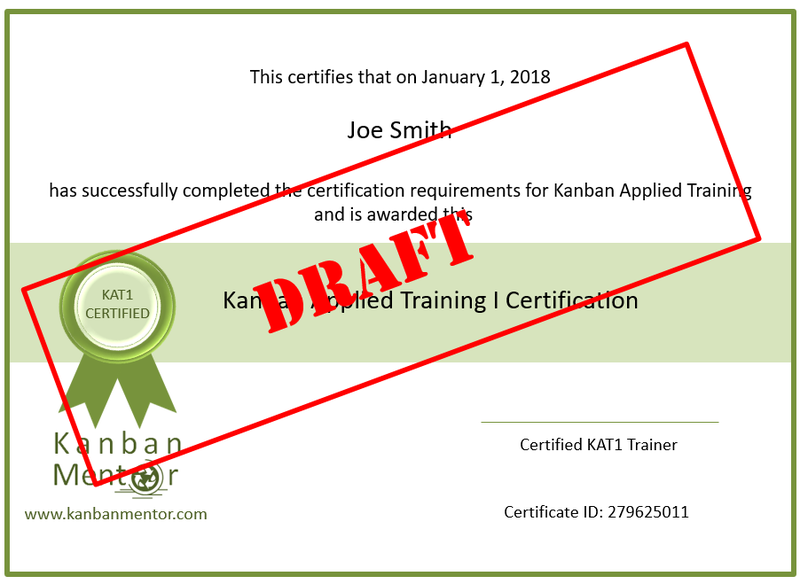 At the conclusion of the Kanban Applied Training class, students may receive a certificate, pending the successful completion of a quick review. Scrum forecasting Understand how Scrum teams estimate and forecast including a discussion of burndowns and planning poker. If interested in scheduling a class or finding out more details, please fill out the following form and someone from Kanban Mentor will get back with you as soon as possible.